Few of the amphibian species that occur in the Subarctic and in mountains are adapted to low sub-zero temperatures; most of these species overwinter underwater. It is believed that the distribution of the species that overwinter underwater can be limited by the low oxygen levels in waterbodies covered with ice. 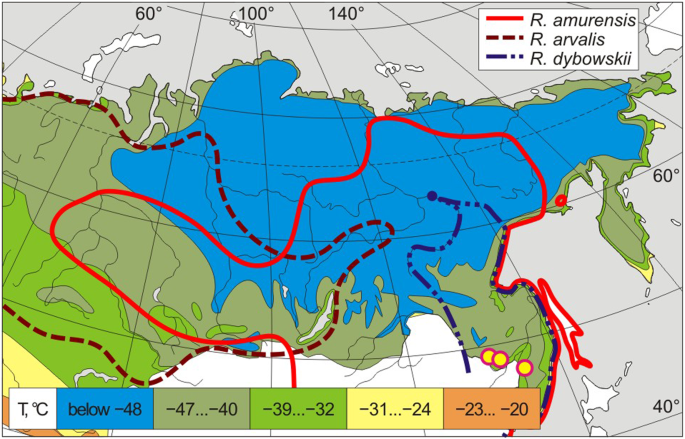 We show that the colonisation of the coldest areas of Northern Asia (to 71°N) by the Siberian wood frog (Rana amurensis) was facilitated by a unique adaptation, the ability to survive extreme hypoxia — and probably anoxia — in waterbodies during overwintering. Leer más.